The need to design large-scale frameworks for organizing the data explosion of the digital age is perhaps the central problem facing interdisciplinary research in the humanities, social sciences, and sciences today. 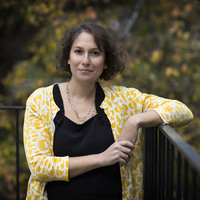 A team at Yale, including Lisa Messeri, Deborah Coen, Marta Figlerowicz, Richard Prum, Ayesha Ramachandran, Traviz Zadeh proposes to confront this problem by examining how large bodies of data have been managed, analyzed, disseminated, and made legible both in the past and in the present. Please click here to read more about the two year project, titled “The Order of Multitudes: Atlas, Encyclopedia, Museum” .